It was a great honor to organize the Al-NanoFunc Workshops II and III. In these two days’ of workshops Nanomaterials for sustainable energy and protection of the environment and the latest advances in microstructural characterization of nanomaterials were the main topics. 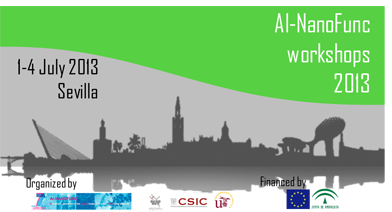 Reflecting the main objectives and character of Al-NanoFunc project, it aimed to be an open discussion forum to bring together senior and young scientists. We would like to express our gratitude to all participants and invited speakers.